It is always the same story for the Easter school holidays…keep the kids entertained doing things that are cracking good fun, healthy and eggducational, while you try to avoid the post holiday parenting shell shock. Fortunately there is some Eggsplosive Easter School Holiday Action in Thredbo. 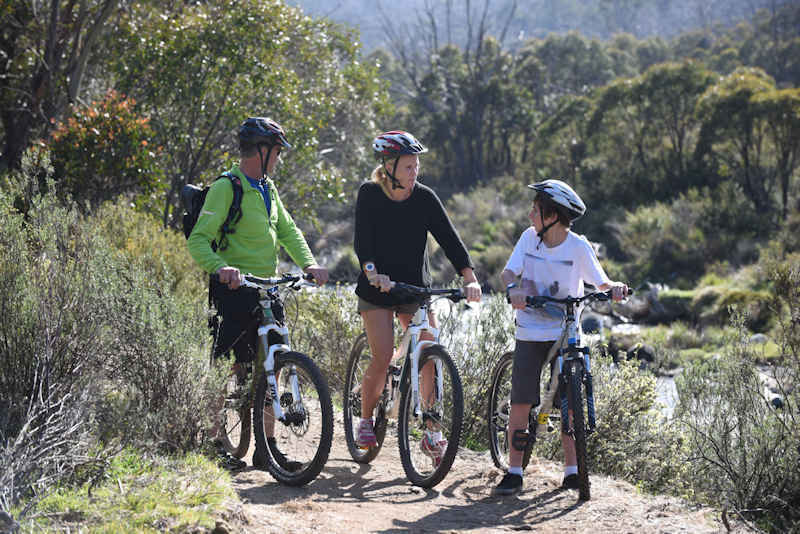 In addition to the spectacular hikes for families out to Mt Kosciuszko or into some of the amazing river valley trails, there is also a complete network of mountain bike trails to suit all standards or riders. As well as the resort facilities like the Bobsled run, Skate Park, Pump Track, Trampolines, Tennis Court and the Thredbo Leisure Centre with the water slide and mission inflatable. Thredbo have also eggspanded their Family Adventure Festival again for the Easter School Holidays and the program is now bigger than Godzilla on a chocolate binge. And it is not all about the chocolate…. Check out the program below. There is an eggstraordinary amount on and a lot of it is free. Best of all, aside from the Easter Weekend, our 3rd night free deals run throughout the April Holidays. You can book a 3 night stay in Thredbo for a family of 4 from only $412. You can also book on the 3 for 2 Family Adventure with 3 fully days of chairlift access, bobsled, leisure centre and other resort facilties from only $579 including accommodation. Book now and eggstract yourself from the holiday scramble this April. Golden East Egg Hunt Full contact, high “whisk” Egg Hunt at the top of the Kosciuszko Eggspress Chairlift. $10,000 prize money up for grabs. April 16. Starts at 12 noon, allow time to ride the chair and walk to the start. Kids Easter Egg Hunt Rowdy the Rabbit does some “Hare-robics” hiding eggs on the Village Green. Bring a basket and join in the scramble April 16th 10am Sharp at the Village Green.